The complete recorded works of Mother Love Bone, the influential Seattle rock outfit, will be remastered and collected for a four-disc box set. 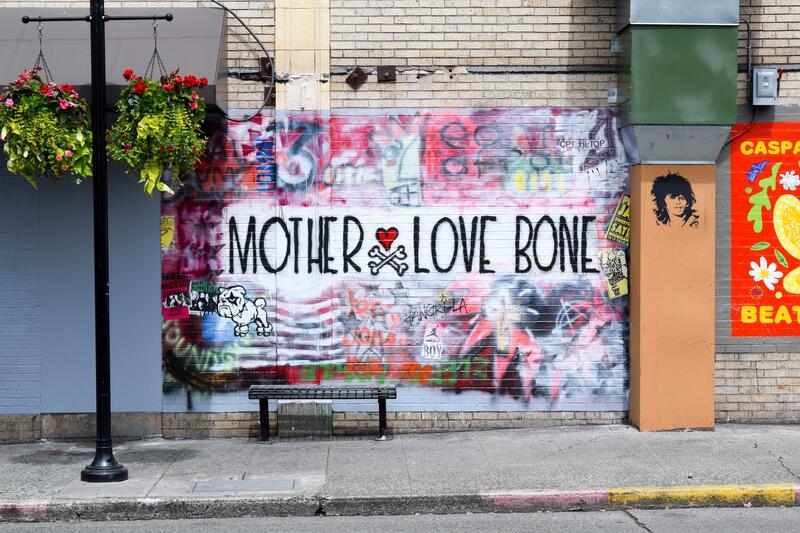 The complete recorded works of Mother Love Bone, the influential Seattle rock outfit that featured future Pearl Jam members Jeff Ament and Stone Gossard, will be remastered and collected for a four-disc box set titled On Earth as It Is, due out November 4th. The package’s first disc is dedicated to the 17 songs found on the lone album (Apple) and EP (Shine) that Mother Love Bone recorded with its lead singer Andrew Wood, who died of a heroin overdose in March 1990, months before the release of their debut LP. Ament, Gossard and Mother Love Bone’s Bruce Fairweather formed the band out of the ashes of their previous outfit, Green River. Soon after Wood’s death, Ament and Gossard paired with Wood’s former roommate Chris Cornell for the tribute group Temple of the Dog; that Soundgarden/Pearl Jam side project released their own extensive reissue in September. On Earth as It Is‘ second and third discs gather b-sides, alternate versions, demos, live tracks and unreleased songs, including Wood’s own demo recording of “Chloe Dancer” and a live rendition of “Stardog Champion” that Cornell and Pearl Jam performed live in 2011 during the PJ20 festivities. On Earth as It Is, out on both CD and vinyl, is available to pre-order now through the Pearl Jam Store and digitally on iTunes. The box set comes housed in a package based on Ament’s Mother Love Bone mural on the wall of Seattle’s Easy Street Records and boasts a 24-page booklet with photos and lyrics.